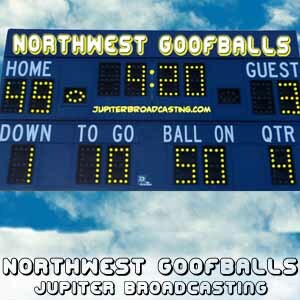 The NW Goofballs were in a good mood this week, with their 4-2 Seahawks taking the lead in the NFC West. They also discuss DeAngelo Hall’s 4 interception brutalizing of Jay Cutler, Oakland punishing Denver, the continued decline of Brett Favre and sports media biased against less popular teams. Also Al’s $5 Handi, Dan’s Fantasy and a live chat discussion on Donavon McNabb.